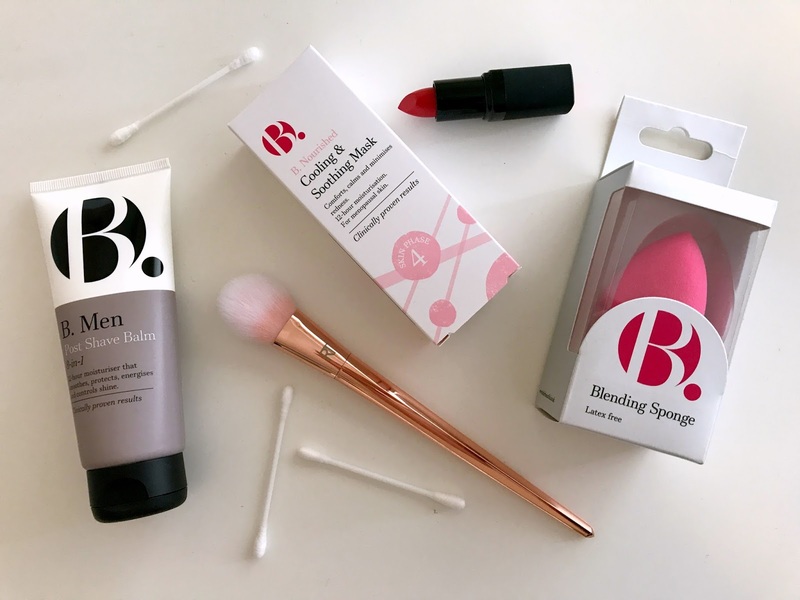 Whenever I'm asked about the best vegan or cruelty free drugstore brands, I find myself consistently recommending Superdrug's B. range. Not only is the entire range suitable for vegans, it's also affordable, extensive and effective. The range covers skincare, cosmetics, brushes and even has a men's line, and is tailored to different skin 'phases', so there's something for every age range and skin type. 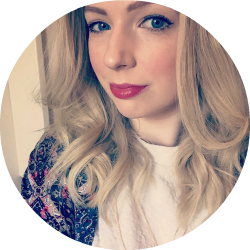 There was panic amongst the cruelty free community last year, when Superdrug stores seemed to be reducing their B. cosmetic line, with people worrying the products they had come to love were being discontinued. Happily, it seems the cosmetic line has had a revamp, and B. beauty lovers can expect to see the new range (including a capsule collection by celeb MUA Cassie Lomas) online at Superdrug.com and in selected stores from Wednesday (31 May)! I'm really excited to see what the new range brings, but in the meantime, I've been testing out some bestsellers and new offers from the rest of the B. range. My skin is problematic, to say the least! I suffer with hormonal breakouts, redness, blemishes and dark circles, it's dry on a morning and oily on an evening, and generally pretty indecisive. With so much to consider, I struggle to find products to deal with everything that's going on! I've been using Hydraluron on and off for a few years now, to give my skin a moisture boost when it's particularly dry. 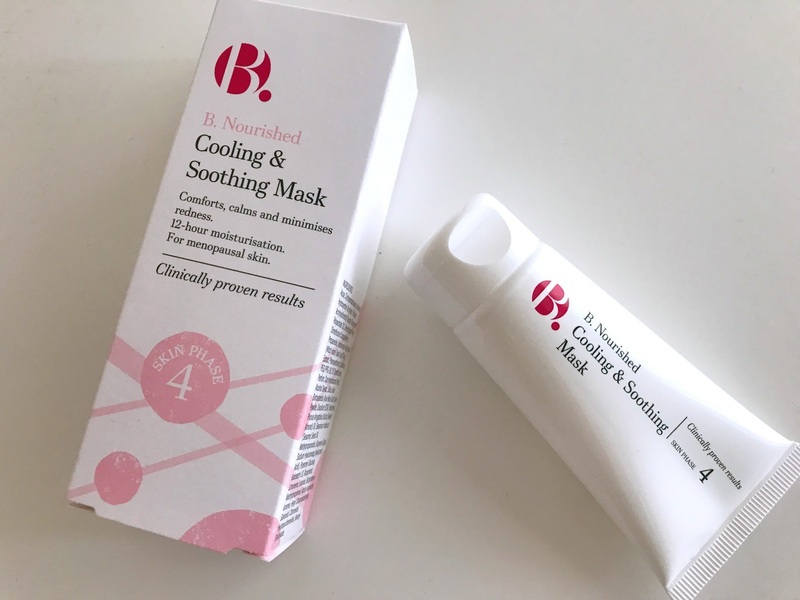 One of the new skincare products from B is this Cooling and Soothing Mask, which I've been using for a little over a week now, and I'm happy to say is a pretty amazing dupe for Hydraluron, and for less than half the price! The term 'mask' is a little misleading as it's not something you remove, it's actually more like a serum. You apply a thin layer to cleansed skin on a morning (and slather a good dollop over your skin on a night), to really soothe and cool irritated skin. It's a dream to apply as it is so cooling, especially in this hot weather we've been having. It has a pleasant light floral scent, and I find it sinks in to my skin in around 5 minutes. Along with being really soothing and moisturising, this is also a perfect base for makeup as it mattifies the skin, but also contains Hyaluronic Acid (Hydraluron's key ingredient) which keeps your skin moisturised for 12 hours. This mask is in 'Phase 4' of the B. range which is designed for perimenopausal and menopausal women in their late 50s, 60s and beyond. If you don't fall into that category, don't let that put you off. This is a lovely, deeply hydrating serum for anyone who suffers with dry skin but also wants something mattifying to use under makeup. 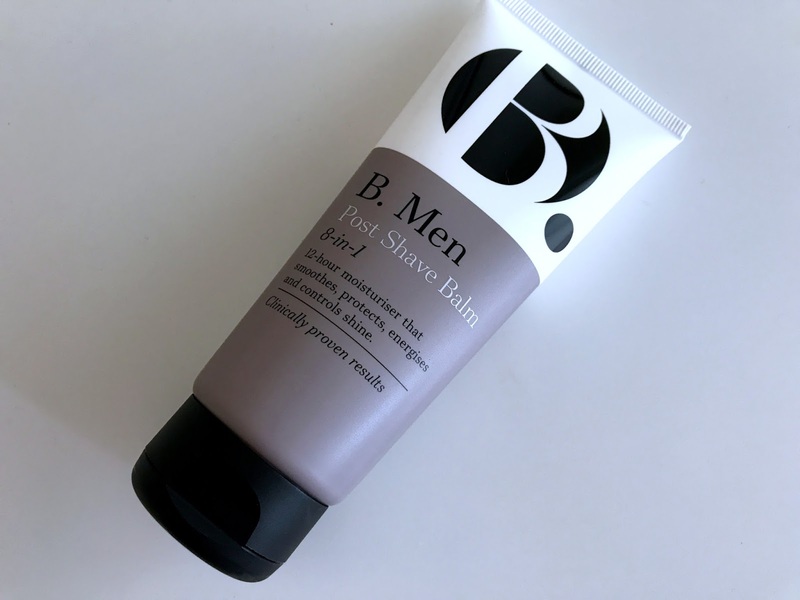 Another product I've been testing this week is the Post Shave Balm from B. 's men's range. Yep, I've been testing this, in fact, poor Andrew hasn't got his hands on it (despite his already well established love for B. products). Although this is clearly marketed at men, the first thing I thought was to use it as a primer - an alternative to the popular Nivea Post Shave Balm which beauty bloggers swear by. With Nivea unfortunately still testing on animals (boo! ), I've never tried the shave balm as primer trick which spread like wildfire around the internet a few years back, but I thought I'd give this a go, and I'm suitably impressed! On days when I haven't worn anything as a primer, I've found my foundation can oxidise and become patchy by the time I get home from work. However, I've found this has really improved the staying power of my makeup and kept it looking somewhat respectable for the whole day. It doesn't smell overly masculine, didn't break me out, it's not sticky, greasy or heavy, it just absorbs nicely into my skin, leaving a soft, smooth base for foundation. I don't know if it will ever truly replace a primer, particularly when my skin is having a really dry day, but for everyday I really like this, and will carry on using it in rotation with the Cooling & Soothing Mask. I might even let Andrew have a go. I am a total makeup sponge addict and will always go for a sponge over a brush to apply my foundation - my usual sponge of choice being the Real Techniques Miracle Complexion Sponge. In comparison, the B. sponge is much smaller, definitely more in line with the 'original' Beauty Blender sponge which is teeny! This sponge is also much firmer and squishier than the RT sponge, which I find is quite soft but doesn't bounce back quite as well as this. 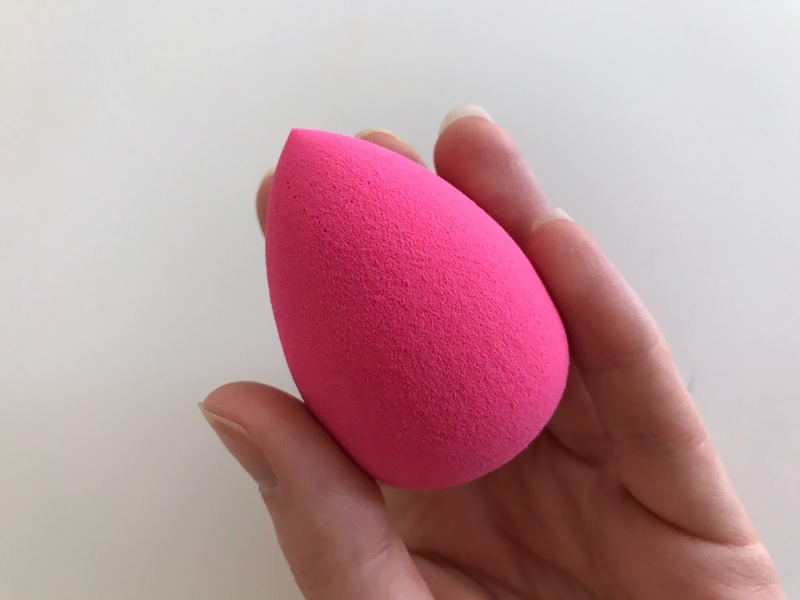 The egg shape of the B. sponge is also really good at covering every part of your face - the pointed tip gets in to the creases around your nose and around the eyes, with the base of the sponge offering a good surface area to pack the product on to cheeks and forehead. Overall I really like this sponge, and would definitely pick up another once this has had its day. It's a little cheaper than the RT sponge, and works better damp than the RT sponge which I find holds too much water and leaves my face looking overly dewy. Another excellent dupe from B! Are you a B. convert too? What's your favourite product from the range? Beauty is the wellspring of your own enchantment; it is the substance of your identity, it interfaces you to others and to the a lot of this planet. All individuals are excellent, and it is our fundamental nature to transmit this delightful truth. When you consider beauty is it something you know you have inside you? Or then again does beauty appear like something tricky and outside of you? Why? Since collagen protein itself is excessively extensive in size to try and be assimilated through your skin. So as a general rule,angelina jolie face cream everything in the item enters the skin EXCEPT for the real collagen protein!